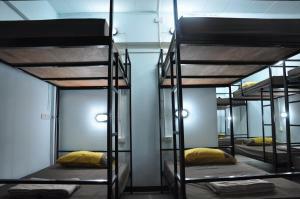 Cocktail Hostel Bangkok offers air-conditioned rooms with free WiFi in the heart of Old Town Bangkok. It is located within a 15-minute walk from Surasak BTS Skytrain Station and Satorn Pier which connects guests to the city's must see cultural attractions. Free parking is available on site. 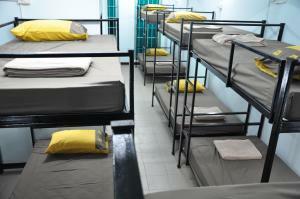 Offering private and dormitory rooms with options of female-only and mixed dorms, the bunk beds in the dormitory rooms each come with their own personal reading light and electrical socket. The shared bathrooms come with both hot and cold showers. 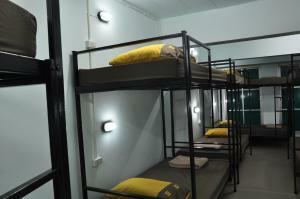 At Cocktail Hostel Bangkok, guests enjoy free uses of the lockers and luggage storage services. The lounge area also comes with a computer as well as a small library with guide books and maps. The reception desk stays open from 08:00 - 22:00 hrs to provide assistance with any travel recommendations. Laundry can be arranged for an additional fee. Refreshing drinks can be found at the on-site bar. Dining options, a morning market and convenience stores can be found within a walking distance. 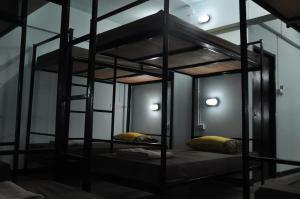 The hostel is 2.2 km from the nightlife options in Patpong and about a 15-minute taxi ride to Khaosan Road. Bangkok's famous shopping centres at Siam can be reached within a 15-minute skytrain ride. Suvarnabhumi Airport is approximately 35 km from the property. Please inform Cocktail Hostel Bangkok in advance of your expected arrival time. You can use the Special Requests box when booking, or contact the property directly with the contact details provided in your confirmation. 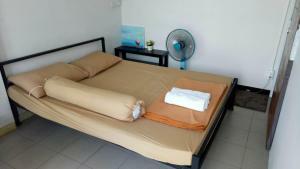 Rate: THB 190.00; select dates below to get current rates. Please be informed that the room is located on the 4th floor and is only accessible via stairs. 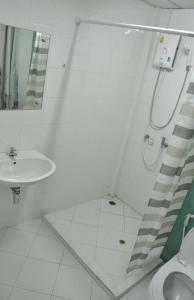 Guests have access to a shared bathroom and a toilet. Free WiFi and towels is available in this room.